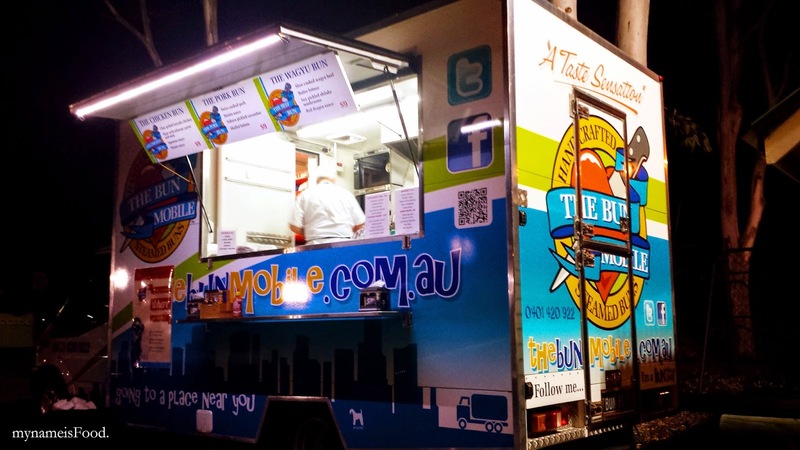 The Bun Mobile - my name is Food. 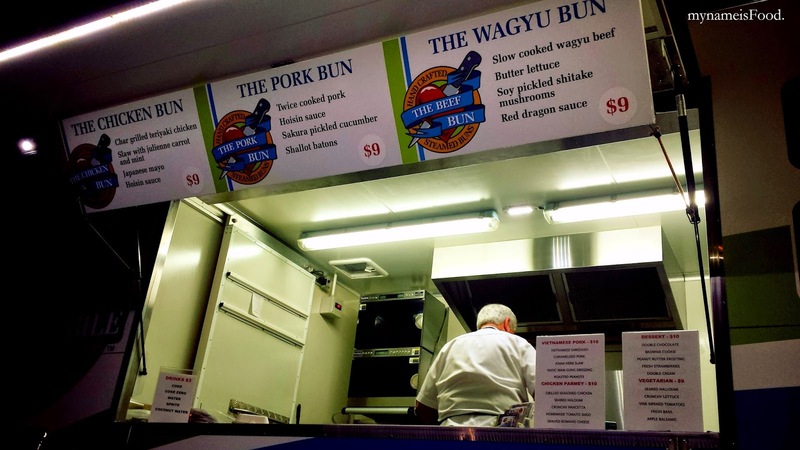 The Bun Mobile has been one of the famous Brisbane food trucks, and of course it may have been because they were the first, starting back at 2012. 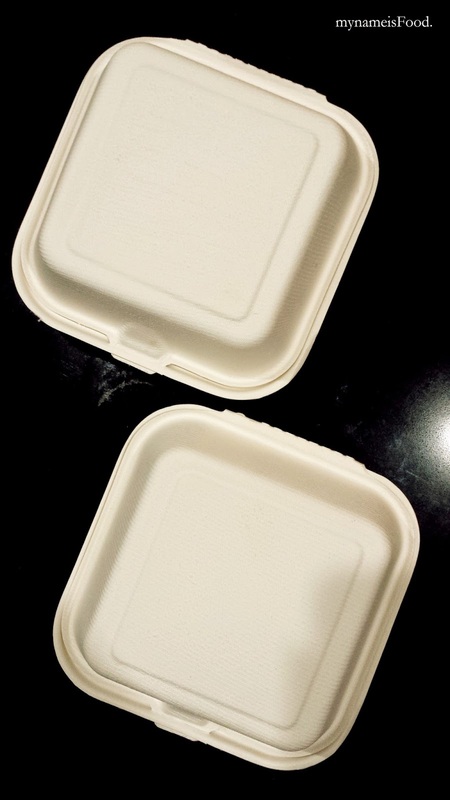 They offer such a simple menu consisting of only 3 different buns with specials too can cater to any one, from vegetarian to meat lovers etc. 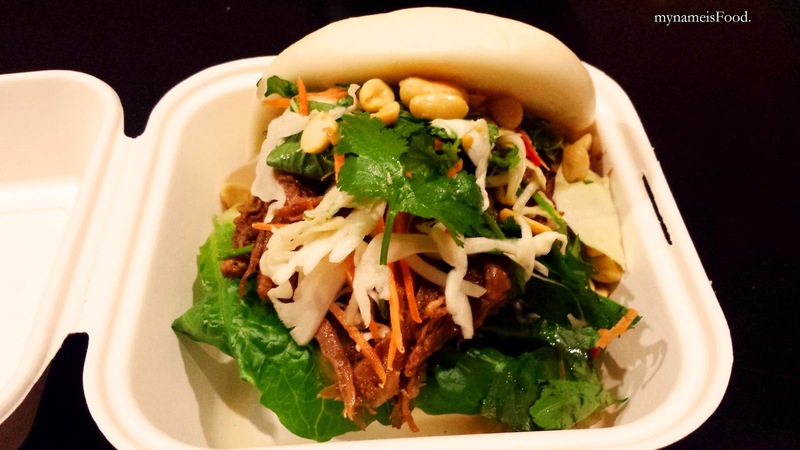 Hand crafted steam buns filled with meaty fresh salad which may fill you up or just make you want to go for seconds.. Their location varies from day to day so do keep an eye out on their website for their whereabouts. 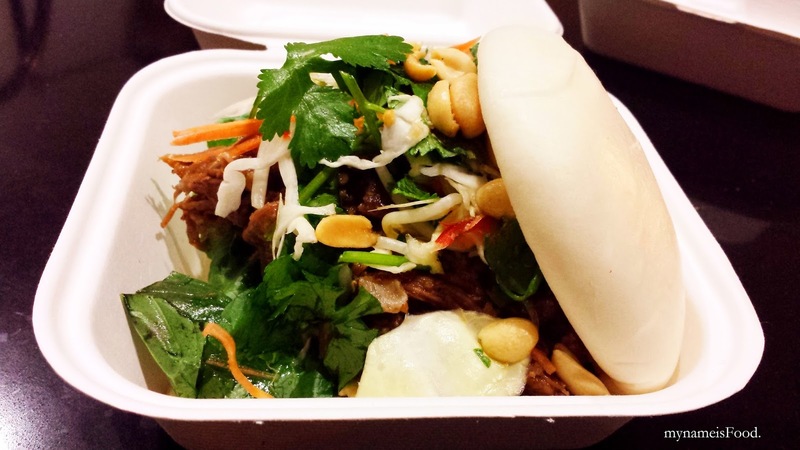 'Vietnamese Pork' ($10) is Vietnamese shredded caramelised pork, asian herb slaw, Nuoc Nam Gung dressing and roasted peanuts. This was one of their specials for the night, and it did not dissapoint. 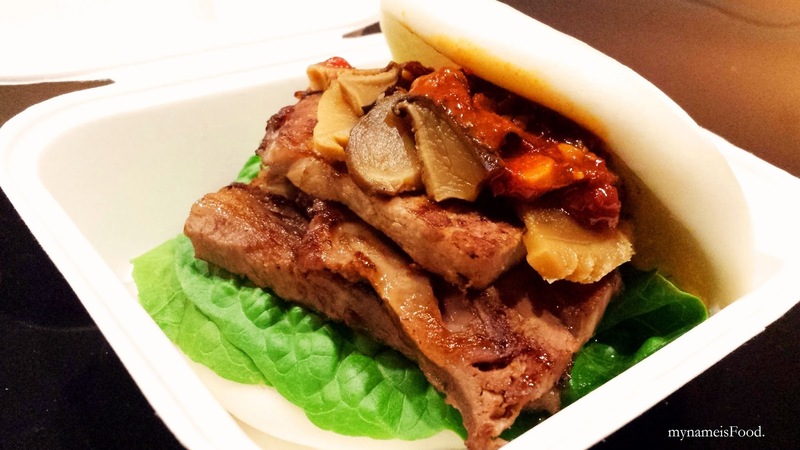 The steamed bun was soft and a perfect alternative from a burger bun. 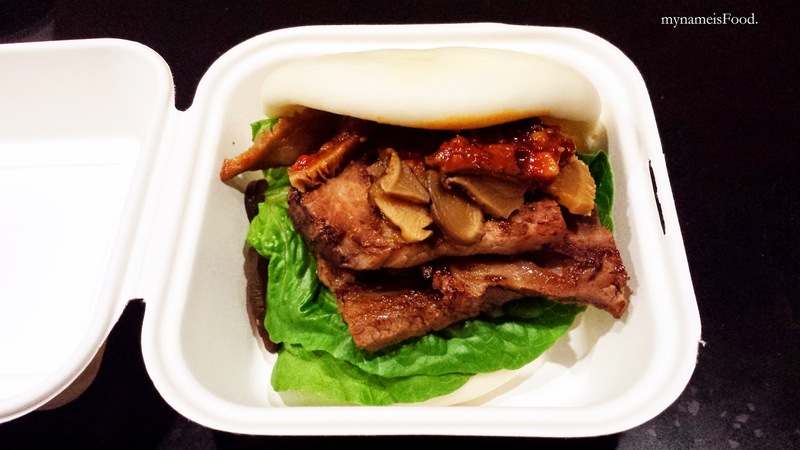 Steamed buns are not common maybe in the western world, but it is in the asian world. 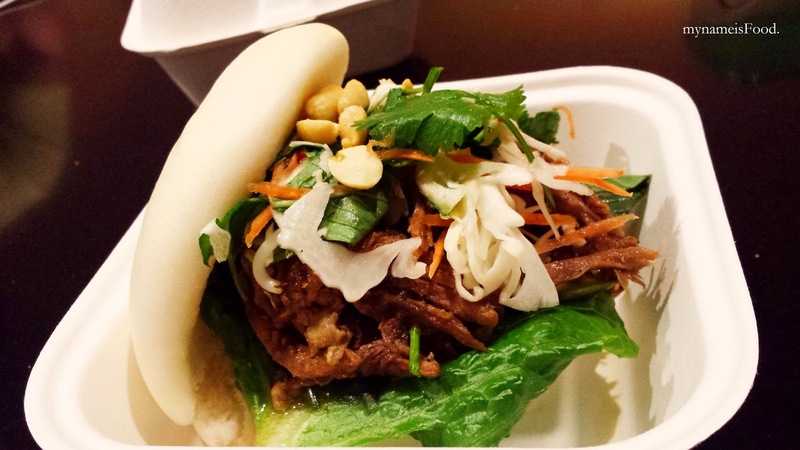 The whole Vietnamese Pork bun was a mouthful, be ready to get messy when taking a bite of it. It had the right flavour along with its moist texture and with the help of the freshness of the asian herb slaw, it made the whole dish quite a pleasant one. The light roasted peanuts was a nice touch to the bun. 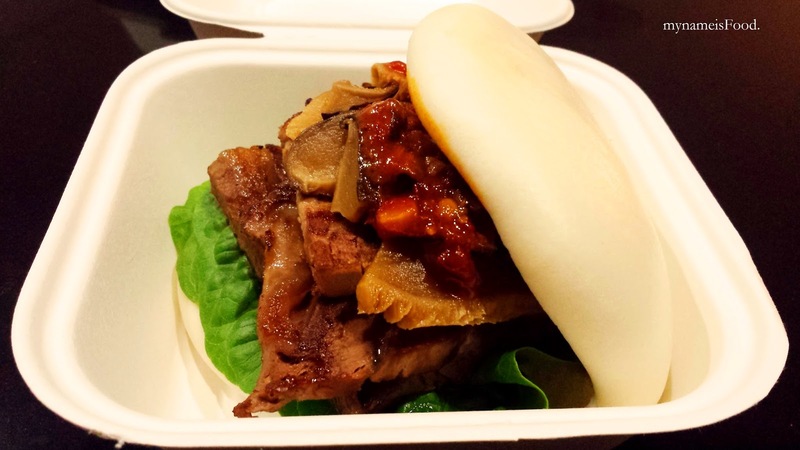 'Wagyu Bun' ($9) was a Slow cooked wagyu beef, butter lettuce, soy pickled shitake mushrooms and red dragon sauce. This was rather a simple dish, though it was still a mouthful to eat. The wagyu beef was tender though it lacked the red dragon sauce. The shitake mushrooms was nicely done, soft and the crisp lettuce added that extra crunch. This bun was just one of their usual ongoing menu, however, it may not have won my tastebuds tonight like the other bun did. The filling of the wagyu beef do fill you up quite a bit.